Please contact us via email anytime. We are here to help! Interested in Volunteering with UY? Email us. There are many ways to get involved in the University YMCA! University of MN Students are encouraged to explore our programs, internships and volunteer opportunities at the University Y. University of MN Faculty and Staff can stay up to date on events and programs as well as donating their time to speaking with current University Y participants. University YMCA Alumni can donate their time in mentoring and speaking with current University Y participants. 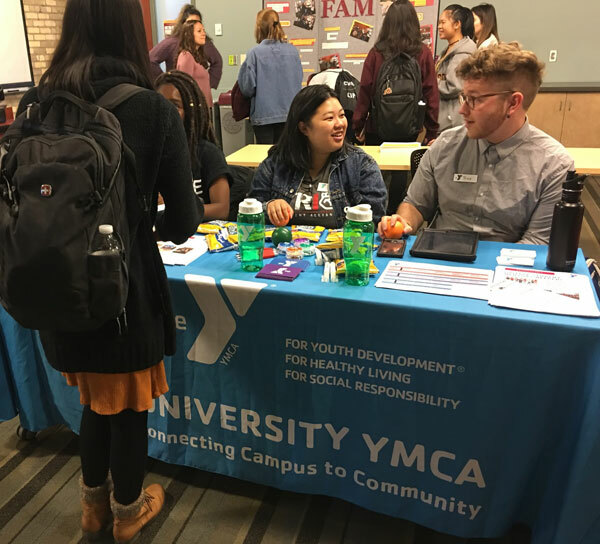 Community members can engage in Y of the Greater Twin Cities volunteer opportunities and connect to the University YMCA for on campus collaborative opportunities.